In 1981, the China Research & Conservation Center for the Giant Panda, at the Wolong Nature Reserve, Sichuan Province, China was established. The Wolong Nature Reserve is a large protected reserve, similar to a National park. The Wolong Panda Center is a research and breeding center within the Wolong Nature Reserve. 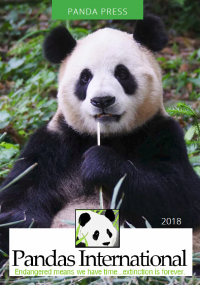 The Wolong Nature Reserve, the earliest, largest and best-known Giant Panda reserve in China, was placed on UNESCO Man and Biosphere Reserve Network in 1980. The Wolong Nature Reserve is in the Min Shan mountain range at the foot of the Tibetan Plateau in the ABA Tibetan Autonomous Region, Sichuan China. Located east of the mysterious Siguniang Mountain or Four Girls Mountain, the Wolong National Nature Reserve has a reputation for its natural beauty. In Chinese, Wo long means sleeping dragon. The local Qiang people believe a giant dragon came wandering through the valley and fell in love with the beauty of the mountains. Enamored by the beauty the dragon decided to go to sleep and then never woke up. The Wolong Panda Center was located in the Wolong Nature Reserve, which covers 200,000 hectares (494,210 acres) with elevations ranging from 1555 to 4600 meters (4,000 to 11,000 ft). The Wolong Nature Reserve was established in 1963 to further the Chinese Government’s commitment to preserve the giant panda that is seen as a national treasure. 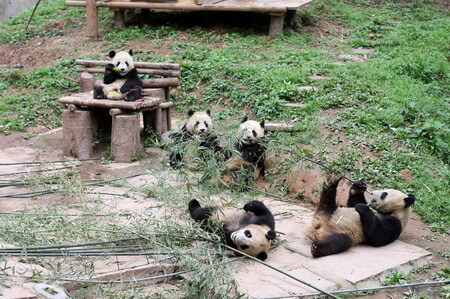 Before the earthquake, Wolong was the oldest and largest panda breeding center in the world. Sadly, the 2008 Earthquake destroyed the Wolong Panda Center at Hetaoping. A new center is nearing completion in Gengda.